Have you ever had someone come to you and say “Oh my gosh you are petite!” or or “Wow you look taller in your pictures”? As someone standing at 5ft tall, I take these phrases as compliments because it means my intention of looking taller in photos is working! Hehe I also won’t dissuade you from thinking I’m taller than 5ft. After a few years of figuring out my angles and getting comfortable with the camera, I can proudly hop in front of the camera and start posing. I’ve also picked up a few tricks along the way to look taller in my photos. So after asking you guys on Instagram if you wanted to see these tips, I finally put them together! 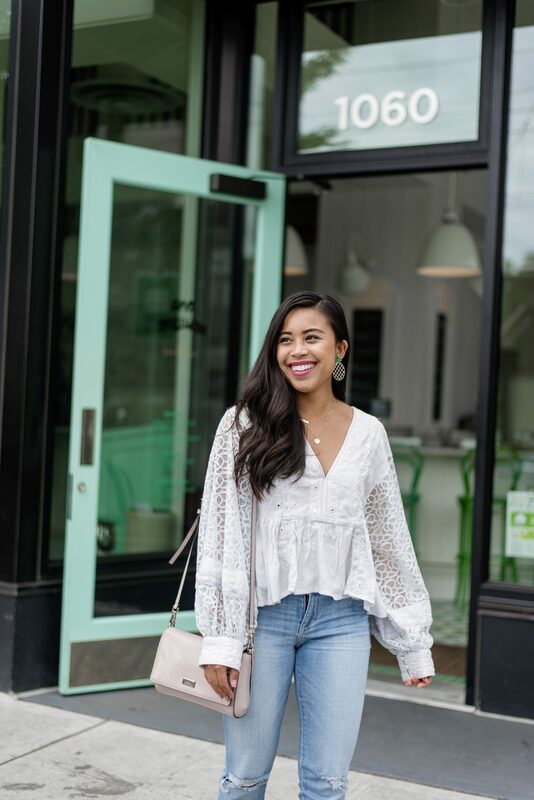 If you’re petite like me or if you’re looking to take better Instagram photos, this blog post is for you! 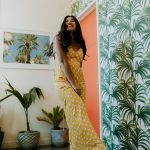 Whether your 5ft tall or your 6ft tall, these tips to add height to your photos will help you create better content for your Instagram and blog. If you have an Instagram-husband or boyfriend, make sure you have them adjust the angle they’re aiming your phone to eye level. The camera or your phone should be at YOUR eye level, not your photographer’s eye level. When the camera captures you at YOUR eye level, people will perceive YOU at eye level. Typically when people think they’re seeing you at eye level they also think they’re seeing you as the same height. 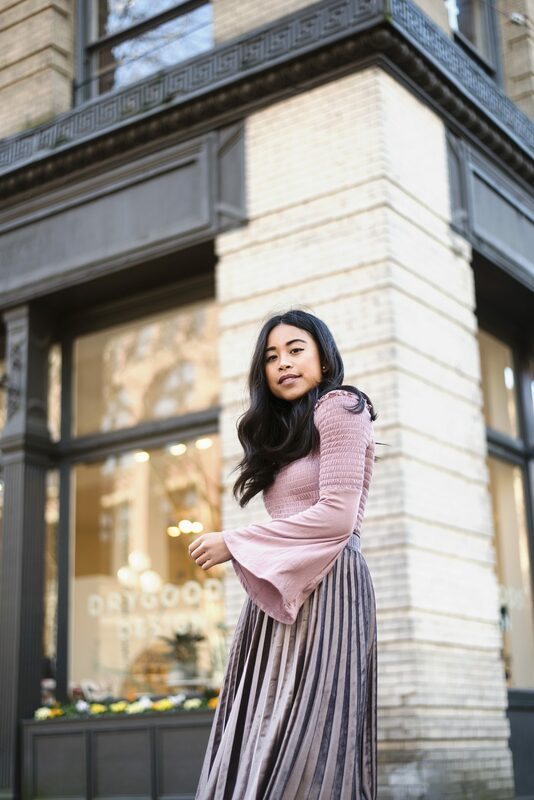 If the camera or the phone is aimed downward because your photographer, friend, or boyfriend is taller than you, people will perceive that they’re looking down at you – giving you the appearance that you’re shorter than you are. Most women tend to take their selfies/photos at a downward angle, in hopes of making them look smaller in photos. As someone whose 5ft tall, I don’t want to look shorter. I’m already petite so I want people to think they’re looking at me straight in the eyes when they look at my photos. Once and your photographer get comfortable shooting at eye level, I highly recommend playing with upward angles. Typically I’ll ask Holly or Karya to squat down and shoot me at an upward angle to make me look taller. When I first tried this angle, I was so scared that my face or body would look awkward in this angle. But this upward angle did in fact give me more height! The trick with the upward angle is adjusting your face and gaze to the camera so it doesn’t look like its being shot upward – unless that’s the type of shot you’re going for. What a groundbreaking tip! Aha okay no this is just the oldest, easiest trick to look taller. If you look through my blogging and Instagram photos, I’m usually wearing heels. There are a few times I’m wearing sandals or flats, but in most photos I try to wear heels. 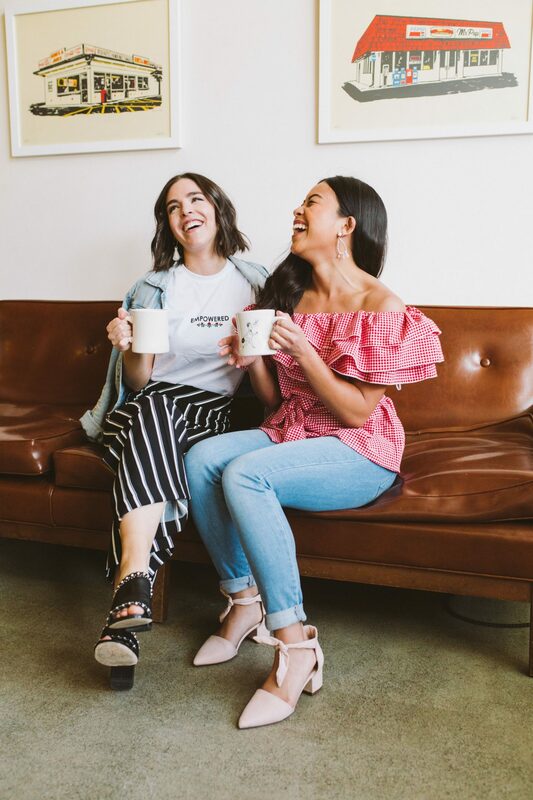 Whether you’re sitting down or standing up, heels are an easy way to add height – especially if you combine it with an upward angle! If you aren’t comfortable wearing super tall heels, I’m with you! I prefer block heels no taller than 2-3inches. In fact, most of my favorite heels are only an inch or two. I recommend trying kitten heels or even wedges to add some height to your photos! 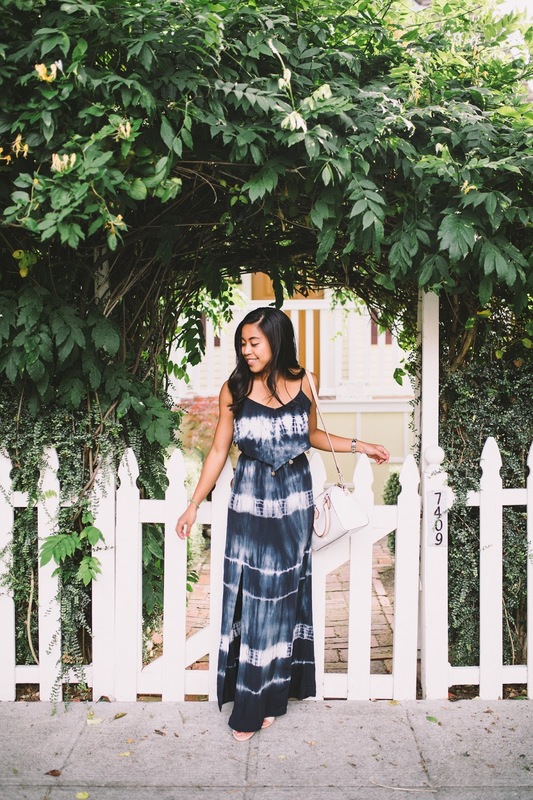 I absolutely love oversized items – maxi dresses, cardigans, sweaters, and t-shirts. But I know I have to be careful to not wear something too oversized because the piece of clothing can instantly drown you/make you appear way smaller or shorter. The key is to finding the right fit and oversized items. If you’re shopping from boyfriend jeans, make sure they aren’t too baggy. If you’re shopping for a maxi dress, make sure it isn’t dragging on the floor. I highly recommend trying on all oversized items before you buy them! Tip #6 to Look Taller in Your Photos: How to look taller in group photos: Sit Down! While I do have a few friends right at 5ft with me, most of my friends have a few inches of height on me. It can be super easy to look short if your friend is 3, 4, or 5 inches taller than you. So to mitigate the height difference, find a spot to sit down. I highly recommend sitting down at a cute coffee shop, brunch shop, or even stairs if you find some on the street. Your height differences less exaggerated when you sit down. Additionally, sitting down will help the photographer shoot both you and your friends at eye level. I grew up watching America’s Next Top Model. Through this TV show I learned that the shortest height for a model was typically 5ft 7in. Even though I’ve always loved taking photos (for Myspace back in the day), I knew my chances of being a model were virtually none. 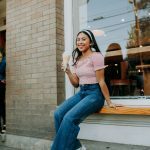 When I first started taking photos and blogging towards the end of college, I was worried where I would fit into the blogging world. But as I scrolled through the blogs and my Instagram feed, I realized that most of the women I followed weren’t models. They were everyday women who ranged from petite to average to tall. I put my fears aside about not being the standard model height and idea of beauty I was raised with and just started taking photos and sharing them. 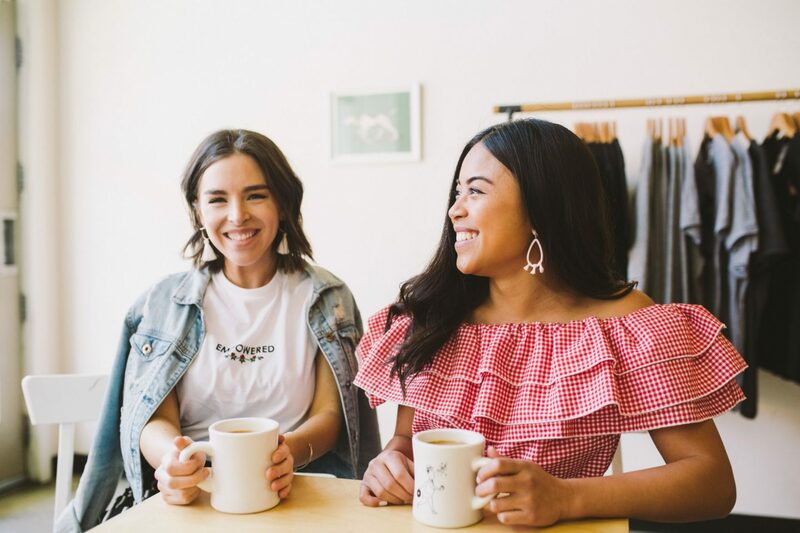 Whether you’re hoping to start a fashion, health and wellness, or bee keeping blog, know that your height honestly doesn’t matter. You should embrace whatever height you’re at and focus on delivering your gifts, opinions, and service to the world! There you have it friends! 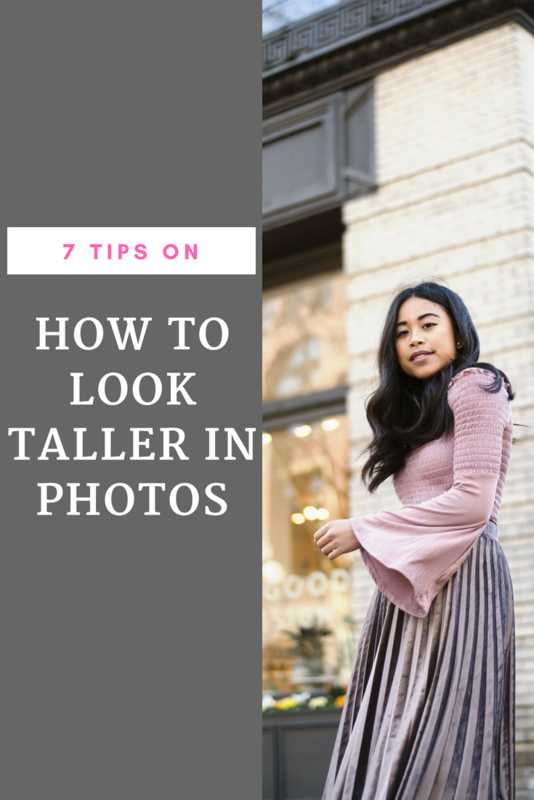 I hope you enjoyed these tips to help you look taller in photos. What are some of your tips to look taller in photos? I too am only 5 ft and while my height never bothered me, I think it’s good to keep this in mind. I am still learning a lot about photography and these are super helpful tips!